The precision forged Paris Savants. Faster, Stronger, Smarter.. The all new Paris Savants are here! With the smooth lines and clean design you’ve come to know and love from Paris Truck Co, the Savant features many upgrades and downhill-specific improvements from our previous V2 design. The Savant is the absolute perfect truck for fast downhill and freeride skating, able to handle the fastest and gnarliest terrain you can throw at them. The 180mm hanger is forged, not cast, for superior strength and tighter tolerances. The axles are dead straight, precision machined, and secured into the hanger with a patented axle lock system. A slightly tighter bushing seat provides the additional stability needed to take your skating to 60mph+, while still giving that deep and predictable Paris turn you expect from our trucks. 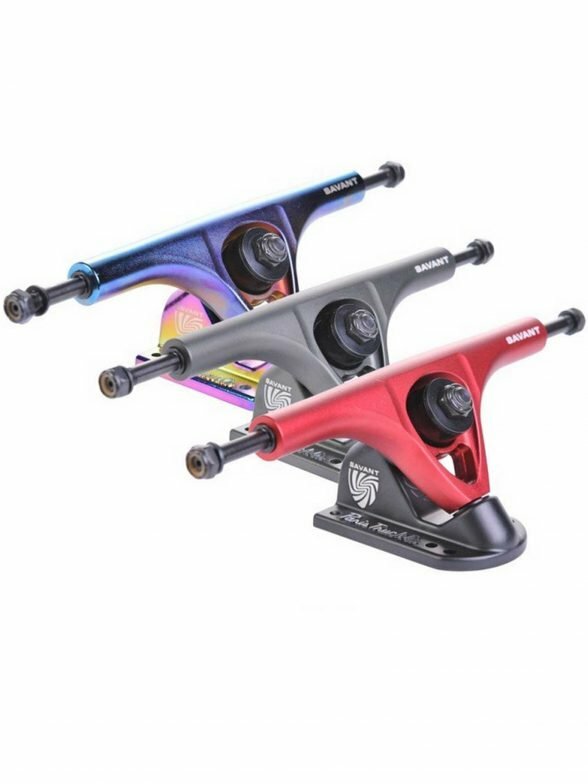 The Savants also feature a race-inspired machined pivot, top hat bushing washers, machined speed rings, urethane pivot cups and slop-stoppers.